Fraternities for women had barely begun on campus in 1909, when four girls decided that there should be a second group for women at Alabama; they invited five of their friends to join them, and the group petitioned Zeta Tau Alpha. The chapter held weekly meetings, and each girl participated in campus activities. Though in 1909 there was no way for the group as a whole to gain distinction, each member received honors in the Y.W.C.A, class offices, dramatic clubs, basketball, etc. The group stood out from the beginning, and during the latter part of February, 1910, Grace Jordan Cook, then Editor of ZTA’s National Magazine, Themis, came to Alabama to “inspect” the chapter. Pleased with the girls and what she found, the chapter was granted. The formal Installation of the chapter took place on April 11, 1910 in the Sigma Nu Hall. 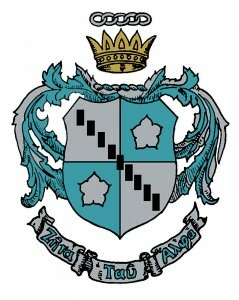 “Our chapter at the University of Alabama is one of which every Zeta Tau Alpha can be proud,” wrote Bessie Maddox in our national magazine after the Installation, “it consists of nine of the most attractive girls one could find, and each one has entered upon her work for the Fraternity with eager enthusiasm.” Thus began one of the earliest women’s fraternities at the University of Alabama, and an excellent tradition in Zeta Tau Alpha. For more information, visit the Zeta website.